Fresh off one of the worst weeks in its 15-year history, Facebook began this week watching its stock sink for the fourth straight day, falling another 3.5% to close Monday at $ 160.47 a share. 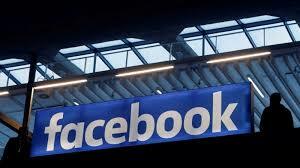 Facebook closed last Wednesday at $ 173.37, its highest level since last August, according to Yahoo Finance. But the steady drumbeat of bad news has since caused its stock to fall 7.4% in the past four trading days, equal to a loss of nearly $ 37 billion in market value. Facebook has endured periods of bad news before, including ones with a stronger impact on its stock price. Last August, Facebook’s stock lost nearly a quarter of its value in a single day after reporting that user growth had stalled last July. That began a slump that brought Facebook’s stock as low as $ 123 a share in December. While Facebook’s stock has since recovered to $ 160 a share, it’s still 27% below the record high of $ 218 a share it reached last July. I deal in facts, not forecasting the future. That’s crystal ball stuff. That doesn’t work.